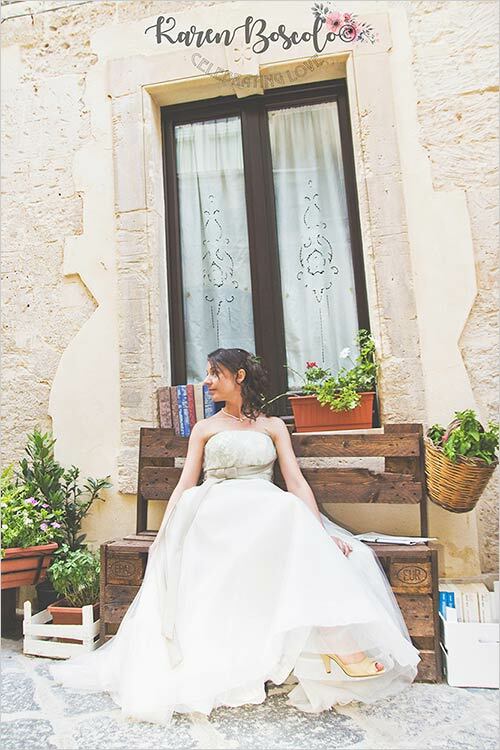 Laura and Davide dreamed of an Italian wedding in Sicily. 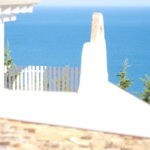 They dreamed about a blue sky, under a bright sun, between ancient buildings and the sea. 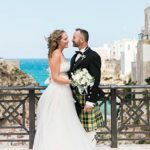 Island of Ortigia was the perfect Italian wedding destination. 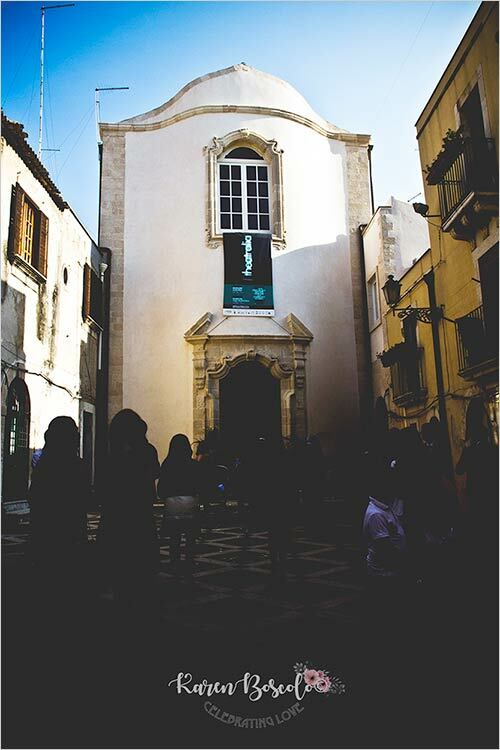 They choose Island of Ortigia for its grand past between mythological legends and baroque architecture. Ortigia is a UNESCO World Heritage Site. 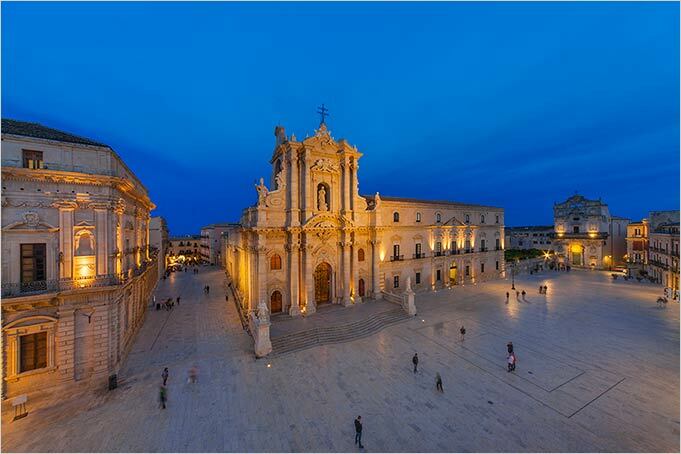 It stands out for its palaces and baroque churches all surrounded by splendid Sicilian Mediterranean sea. 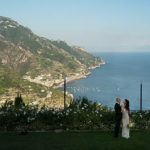 Could you find a better destination for your Summer destination wedding in Italy? For ones who do not know, Island of Ortigia is the heart of Syracuse city, the historical center. It is also known as Citta’ Vecchia (Old City). Ortigia is 500 meters wide and 1 km long in which to get lost walking through the alleys. Ortigia is mentioned by Homer, here Goddes Leto stopped to give birth to Artemis the first born of her twins. Can you imagine? A location that was mentioned by Ancient Greeks… the real cradle of civilisation. 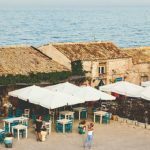 Sicily has many gems like these in its territory! But you can also find many traces of a more recent history such as baroque Ortigia Abbey and majestic Beneventano Palace alternate with the legend of the Fonte Aretusa, which contrasts the beauty of “The Annunciation” by Antonello da Messina in the Regional Gallery of Palazzo Bellomo. In Ortigia you will find traditional papyrus at the Galleria Bellomo or wonderful Jewish neighbourhood of Giudecca where famous Teatro dei Pupi still attracts many tourists today. 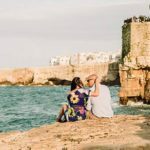 How much art, traditions and architecture you can find in Syracuse Sicily. 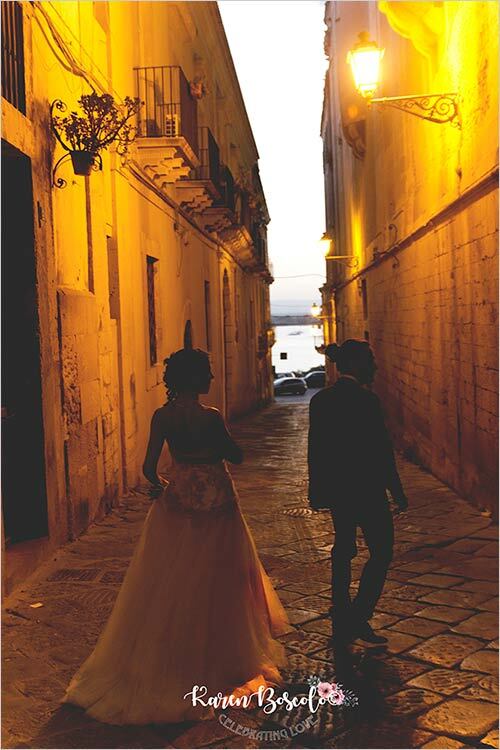 The groom and the bride have chosen to celebrate the civil ceremony in the Church of the Knights of Malta, today unrecognized.The original church was built in the 1500s and stands in a picturesque churchyard paved with light and dark stones that occupies the whole Piazza dei Cavalieri di Malta. 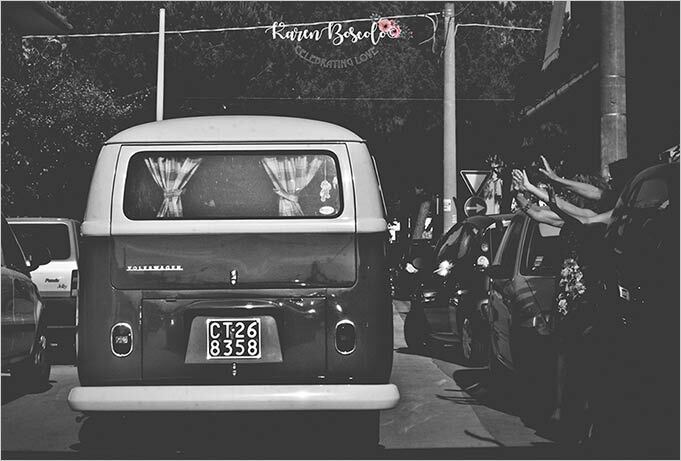 The bride arrived with a vintage volkswagen minibus under the astonished eyes of the many tourists in the square. 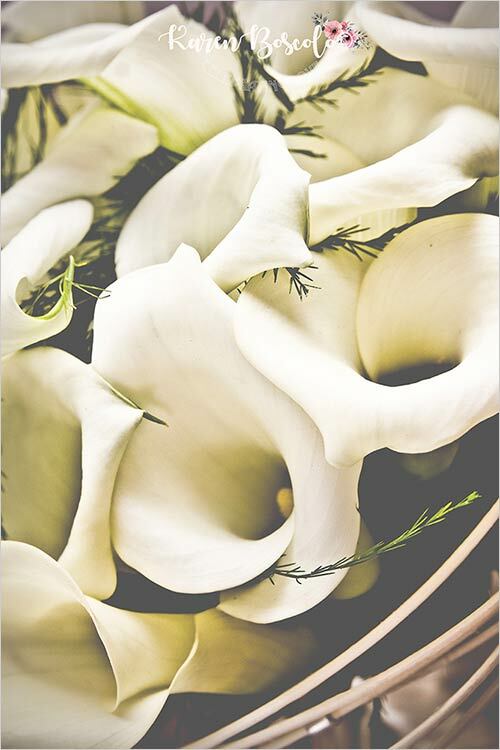 Very excited, she enters accompanied by her father with a wonderful bouquet of calla lilies. 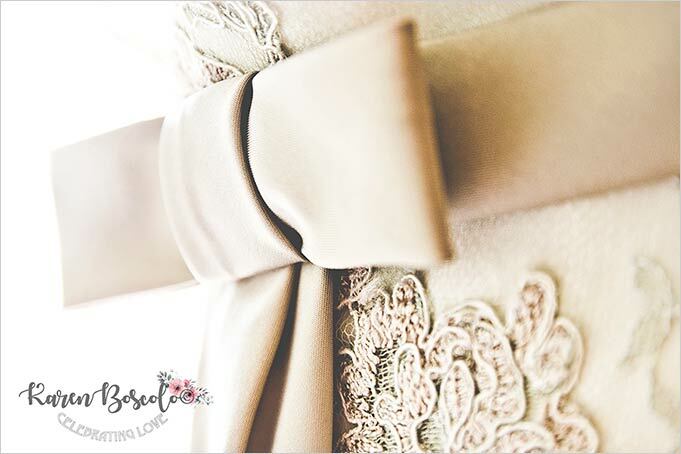 Her wedding dress was elegant and refined with lace motifs all along the bodice. The throwing of rice with coloured confetti at the end of the ceremony started the real party. 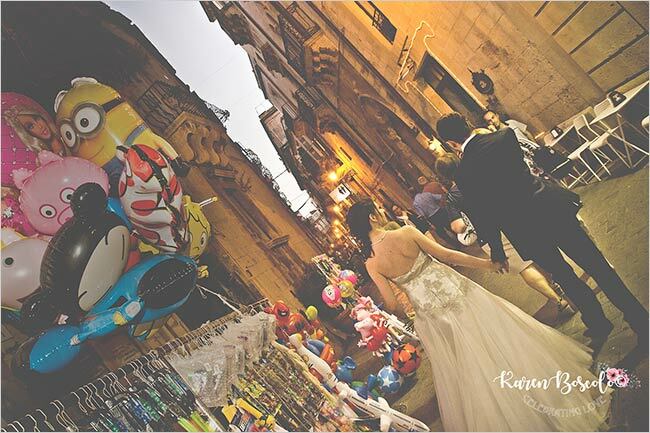 The groom and the bride had fun walking in the most beautiful squares of Syracuse. 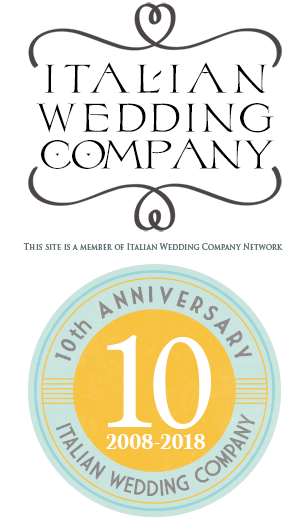 For their wedding reception Laura and Davide chose a traditional and authentic Sicilian restaurant. 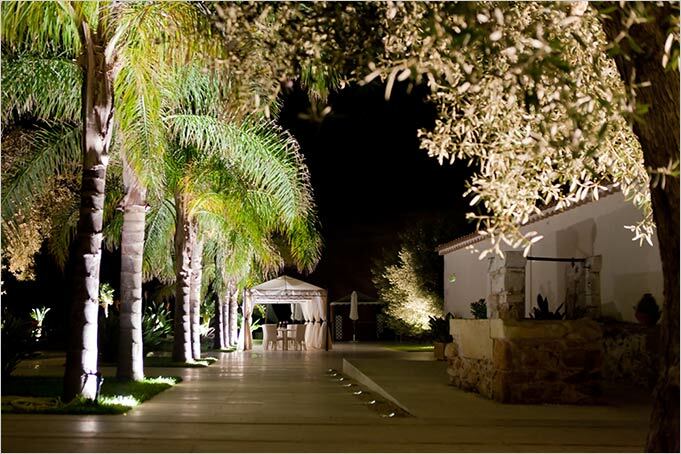 Reception venue is set right the silence of Siracusan countryside and a stone’s throw from crystalline beaches and Mediterranean sea. 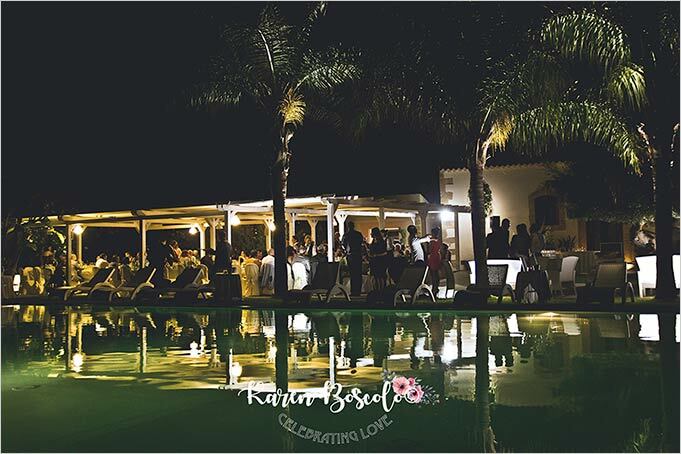 Wonderful outdoor dinner by the swimming pool creating a romantic and relaxed atmosphere. This is what bride and groom wanted for their party. A wonderful dinner lead to the wedding cake cut. It was a cute tiered cake in white and green as per colours bride choose. 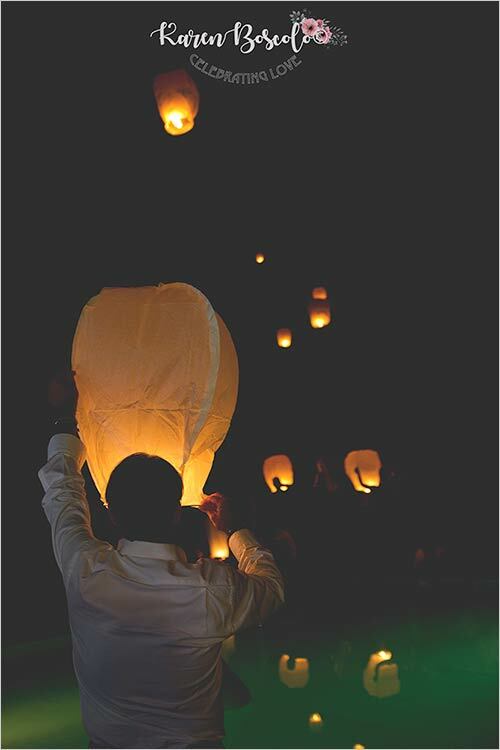 After wedding reception and cutting of wedding cake cut all guests flown Chinese lanterns. A wonderful and fascinating light show to wish good luck for bride and groom. Lanterns lit the starry Sicilian sky creating a romantic and surreal atmosphere. 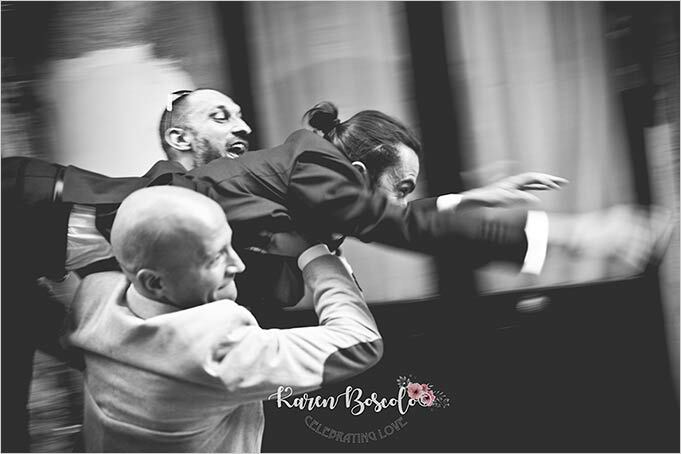 Right after that bride and groom’s first dance all the guests danced all night long under a splendid starry sky of Sicily. 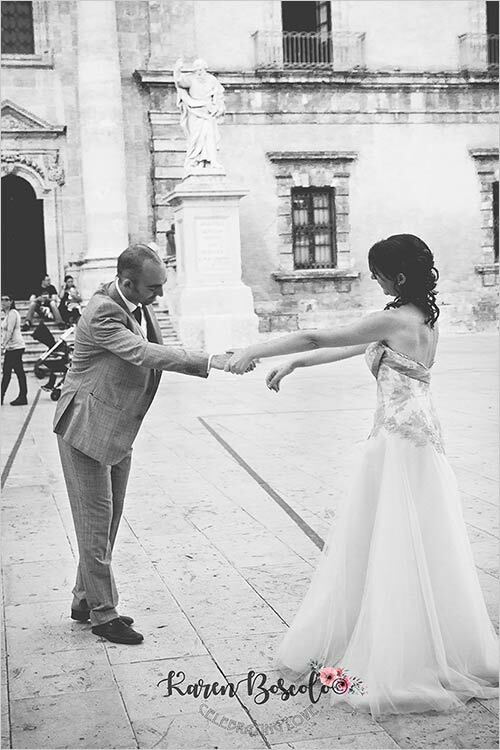 Weddings in Sicily can be this and much more. 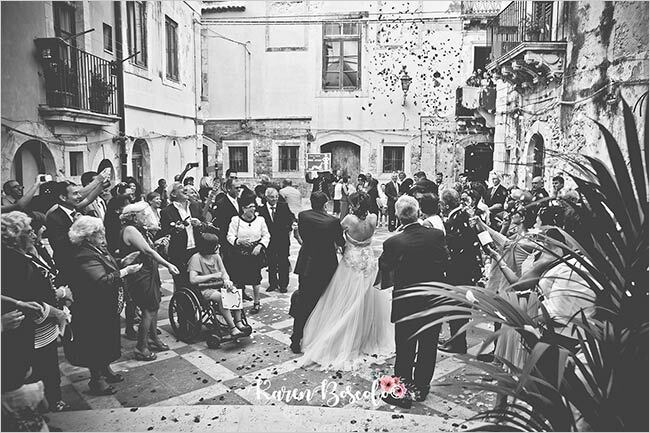 Romantic Italian atmosphere, outdoor wedding receptions, enchanting views and buildings, amazing cuisine and wines, a amazing weather! Sicily never disappoints! 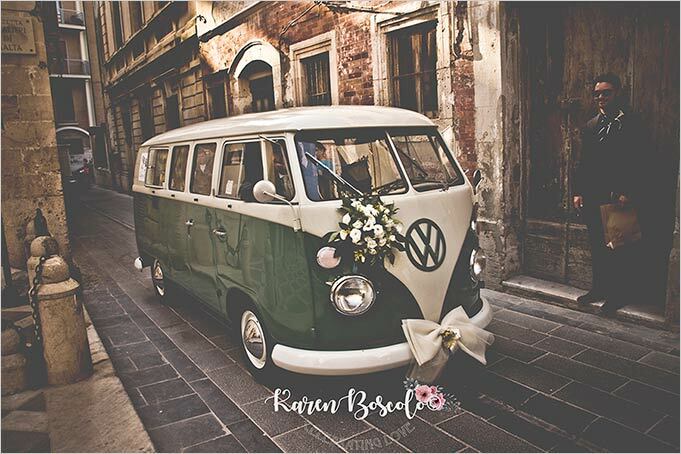 A special thanks to Karen Boscolo, bride and groom’s wedding photographer to took these amazing wedding photos. Thanks for giving us these beautiful shots!